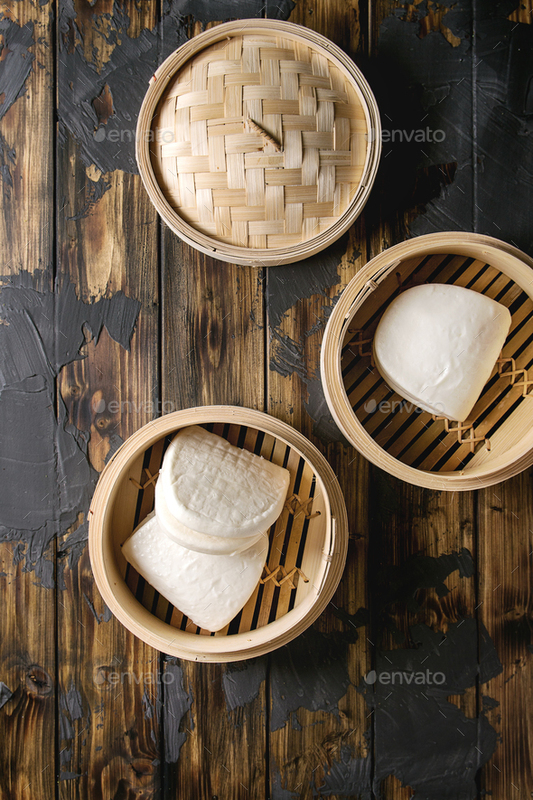 Empty gua bao steamed buns in opened bamboo steamer over dark wooden plank background. Flat lay, space. Asian fast food.